This week has seen a great promotion of reading. All of our EYFS pupils have been to visit the library. Each pupil was issued with their own library card, which enabled them to take a book out to read at home. We have presented out first Silver awards to Natalie & Teddy. They each receive a certificate and a £5 book voucher to spend at Waterstones. In KS1 today we have a story teller coming for the children. It will be a great opportunity for them to see how song, dance and drama can all be combined to create an enthralling story. Our vision is that every pupil will develop a real love of reading and stories through their exposure to quality texts, real authors, illustrators, trips to the library, well furnished reading areas, a school librarian and book club visits to London. 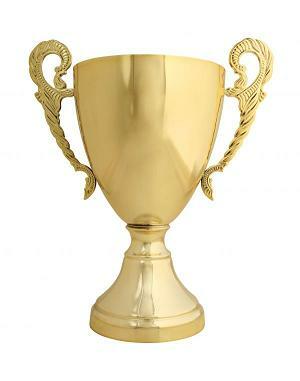 Congratulations to Yellow (Dulverton) who have managed to win the House Point trophy this week! They managed a clean sweep of the first four classes read out this week. Suzi Forgacz is to be congratulated for working very hard in her Read Write Inc group this week. 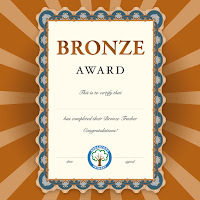 Congratulations to Uthman Falade and Sandra Diaz who have completed their Bronze trackers this week. Tolu Erinle has collected her Silver pencil. Attendance Update - Maple & Cedar Win! We have not done very well since Christmas with our attendance. Only a few of the classes managed to beat the target, with some dropping below 90%. If the pupils are not here, we can’t teach them. It is imperative to get your children here every day. However we would like to congratulate Maple class. They came very close to triggering a cupcake party with their score of 99.2%. If they can manage the missing 0.8% this week then they will be drowning in sponge and frosting. Fact Hunters: White goldfish, James Bond stunts and ostrich brains! 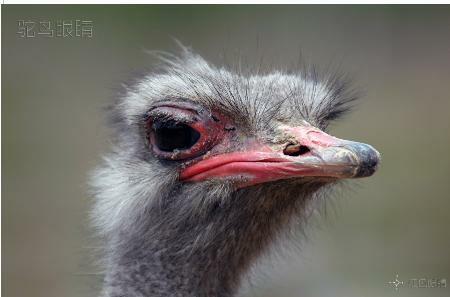 Amazingly an ostrich’s brain is the same size as its eyeball! Find out more about these birds by clicking here! If you keep a goldfish in a dark location, eventually the fish will lighten in colour… eventually becoming white! Incredibly there was a dinosaur called a Supersaurus. It lived in America and could grow up to 42 metres long. It could have weighed as much as 40 tons! 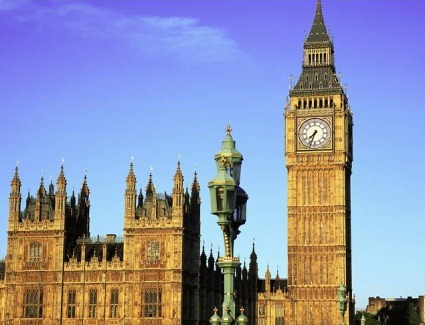 Many people think that Big Ben refers to the name of the tower. It is the bell inside the clock that is called Big Ben. The tower is called the Elizabeth Tower. Several of the James Bond movies feature the same stunt co-ordinator. A man called Gary Powell helps to put all the action sequences together! If you want to plan ahead for the summer, here is a date for your diary. Make sure you are free to enjoy this great community event. Our Broadford choir will be performing on the main stage... so don't miss it! Without a doubt we have some very talented engineers. 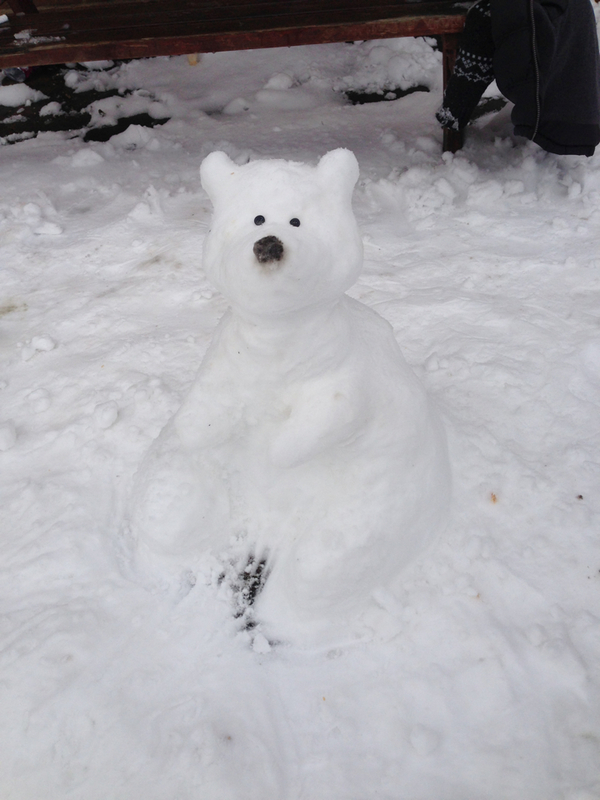 Just look at what these pupils have managed to construct from the snow! 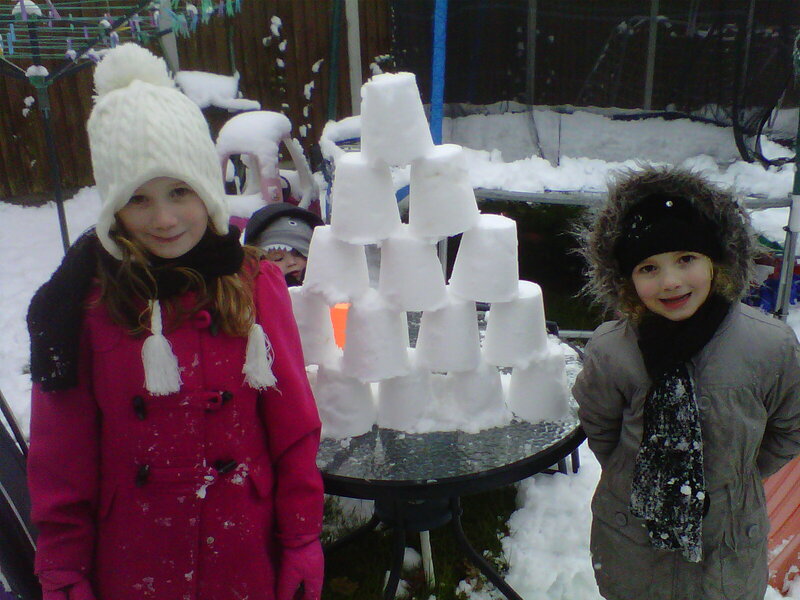 Igloos, snowmen, ice towers: nothing is too difficult for our pupils. On Monday we have our Nursery and Reception children beginning their visits to the library. This is all part of our long term strategy to encourage a love of reading and books. From January 28th until 3rd February, it is National Storytelling Week. We will be getting the older children to read to those lower down the school and promoting reading through a number of events. Year 5&6 have a Victorian design and technology day on Tuesday where they will be making cam toys with our visitor Jeremy. Some Year 5&6 pupils will then be taking part in a Quick Sticks Hockey competition in the afternoon. Don't forget the parenting classes for EYFS parents. Attend one of them, fill in the feedback and get a £5 Tesco voucher! On Thursday we have our second trip to London to take a group of Year 5&6 pupils to see the show War Horse. The children have read the book and have been doing a study on World War 1 with Miss Fox and our librarian Mrs Sparkes. On Tuesday 29th January we are hosting an informal meeting for parents & carers of Nursery & Reception children. Even in the most organised of homes, getting the children up, dressed, breakfasted and ready for school cab be quite challenging. We have arranged for our very experienced support workers to come along and speak to you about hints, tips, suggestions and hopefully solutions to make your time at home manageable, calm and enjoyable. Refreshments will be provided for you. We strongly advise you to make the time to attend the session. Feedback from parents has always been extremely positive. Fact Hunters: goldfish, Big Ben and dinosaurs! Kingsley Onwuegbuzie If you keep a goldfish in a dark location, eventually the fish will lighten in colour… eventually becoming white! Harry Vincent Incredibly there was a dinosaur called a Supersaurus. It lived in America and could grow up to 42 metres long. It could have weighed as much as 40 tons! Ellie Jo Pack Many people think that Big Ben refers to the name of the tower. It is the bell inside the clock that is called Big Ben. The tower is called the Elizabeth Tower. Tyler Houlston & Jerell Allen Several of the James Bond movies feature the same stunt co-ordinator. A man called Gary Powell helps to put all the action sequences together! We have seen a massive improvement from Pine class, who have increased their score by 5%. This has sealed another week as the best class in KS1. Top of the tree were Birch on 98%. With Elm disappearing off this afternoon to the Brewery the race for the next visit is already afoot. 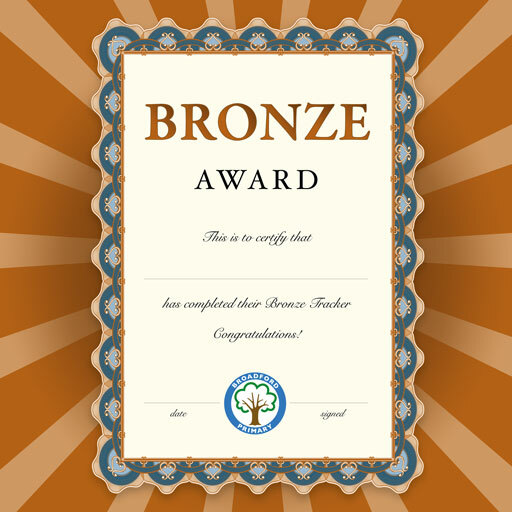 Congratulations to Chloe Wager, James Bickell, Beth King, Alysson Kinata, Dawid Bekisz, Jessica Lotter, Connor Nicholson, Jamari Cousins, Daria Bekisz, Emma Groom, Endurance Obazee and Bailey Westfall who have completed their Bronze trackers this week. Leah Webb, Mia Rose Stevens, Tyler Francisco and Bobbi Jade Hek have all collected their Silver pencil. Charley McKatherine, Mia Rose Stevens and Kailen Davey have completed their Silver trackers. Well done! We are delighted to inform you that the new reading area in the Junior corridor has been completed. With comfortable bean bags, astro turf grass and a view to die for it is the perfect place to relax with a good book. Mrs Nicholls spoke with the children about what they would like in a reading area. Their excellent ideas helped to inform the design that was chosen. The next wave of funding will see a story tellers chair and book case - which will show case books from the Broadford Big Read challenge. We have given the children a small gift to recognise the efforts they have made to improve our school. We can only be the best school on the hill if we have the best attending, hardest working, kindest pupils. Their attendance has been much improved, they have all made a great effort to improve their learning – both in and out of school – and their kind, polite behaviours have been noted by every visitor to Broadford. As a result we were very pleased to give them their very own ‘Best School on the Hill’ pencil on Friday. We would also like to thank you all for the positive messages you have been spreading about the school. All of the staff, pupils and Governors have been working hard to improve perceptions of the school over the last two years. We want to be the best school on the Hill, the first choice for every parent in the area. Thank you for helping us promote the school and publicise the improvements that have been made. There is one for every pupil from Nursery to Year 6. 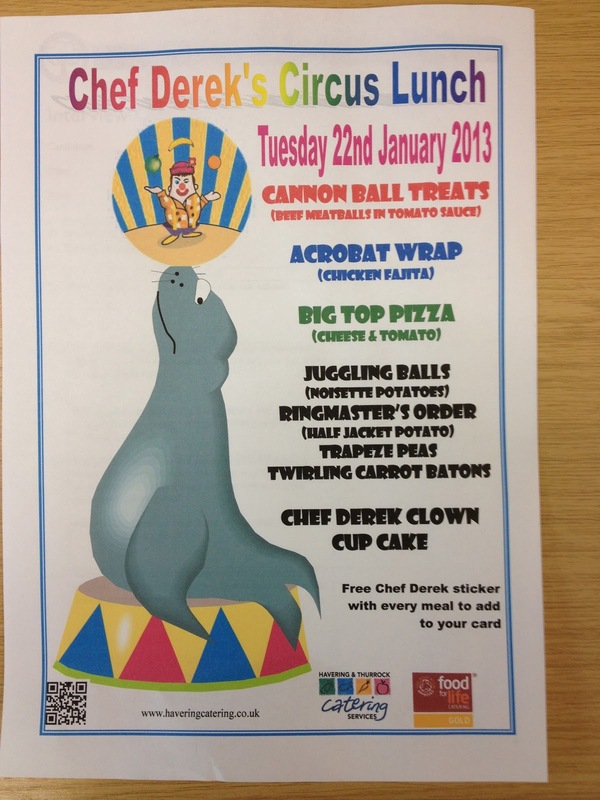 We are looking forward to welcoming the Circus to school next week. Already the pupils have started doing some prepatory work on the topic and they are very excited about the visit. The pupils will enjoy a 45 minute punchy, active workshops where they will be taught Feather Balancing, Plate Spinning, and Chinese Ribbons. At the end of the day we will be holding a parents' session for Reception, Year 2 and Year 1 where parents can be involved with their own children. This will only take 15-20mins at the end of the day. 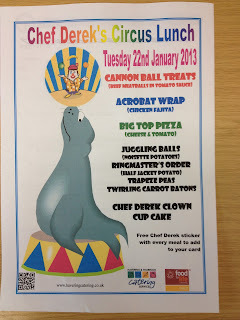 Don't forget, we are having a circus skills day in KS1 and the EYFS. Are you able to spin a plate? Do you have the ability to juggle? Could you ride around the playground on a uni cycle? If so, then perhaps you'll want to join us as the children find out more about what it takes to be involved in the circus. So far these themed lunches have helped to enrich the curriculum and push up the school dinner numbers. We expect the 22nd of January to be no different. 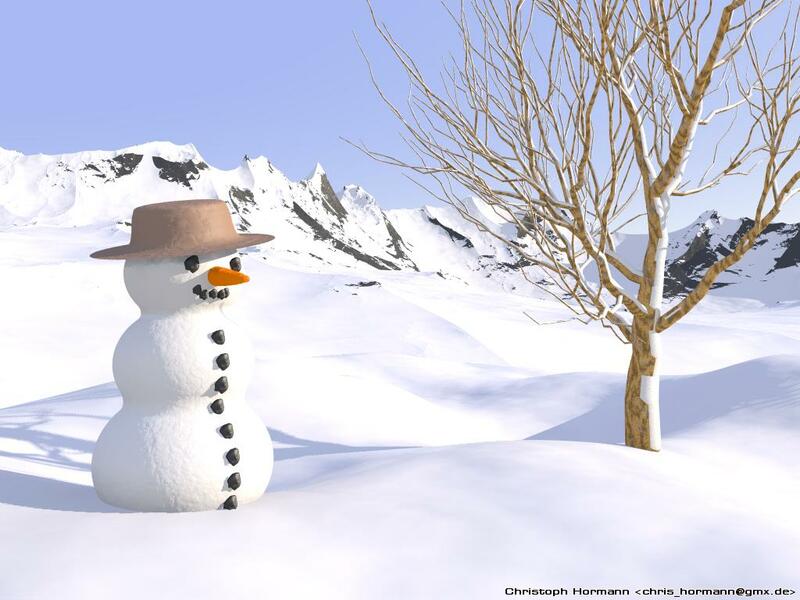 Bring Warm Clothing & Boots! 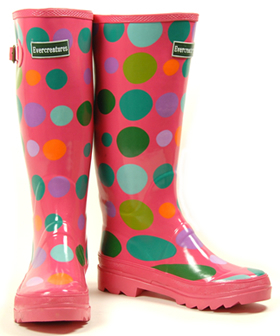 Don't forget your snow boots, wellies, gloves, hats, scarves and winter coats today! If you've got a thermal vest, put it on! 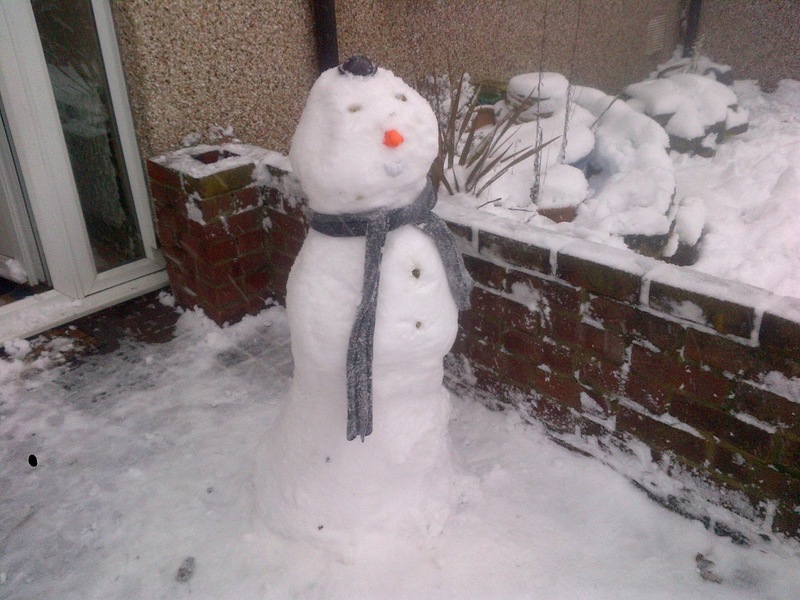 We will be going outside after lunch to have a go at building some snowmen. 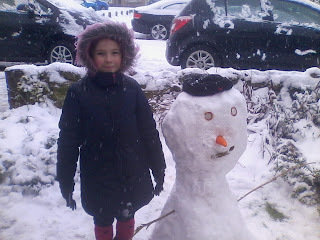 Classes may also be going outside to use the snow to enrich their lessons. However if the clothing is inappropriate the children will not be allowed to take part as it is very cold today, with a high of 2 degrees. We have received some more snow pictures. Have a look at these creations, perhaps we will get a chance to make some of our own this afternoon! Happy Birthday Mandy! Last week Mandy celebrated her 50th birthday. 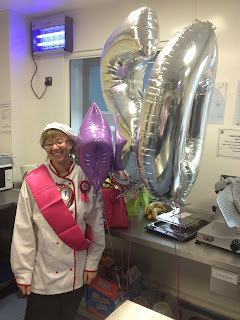 To mark the special occasion the children sang to her after assembly, before we all indulged with some chocolate sponge and chocolate custard... delicious! 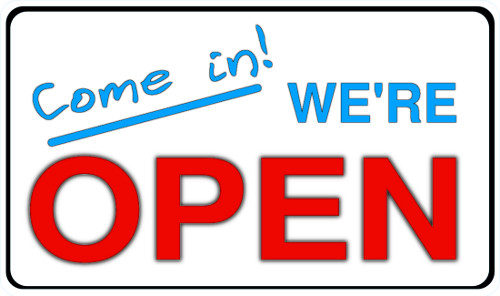 School is open as usual tomorrow, but there are no after school clubs. Breakfast club will be open from 8am as normal. 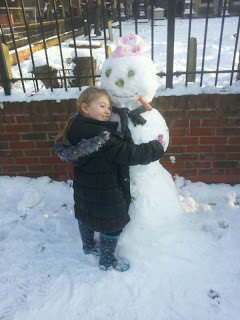 The children will be allowed outside to make the most of the remaining snow on the school field. However they must have a change of footwear that is suitable - wellies, snow boots etc. If they are not warmly dressed they will not be allowed outside. There will be NO CLUBS tomorrow to save parents and families having to make multiple trips up to the school in the snow. We hope that clubs will start again on Wednesday. Enjoy the rest of the day, we look forward to seeing you tomorrow morning! 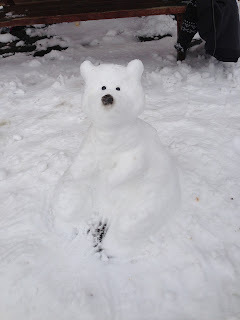 Ben has been busy in his garden creating a polar bear sculpted from snow. 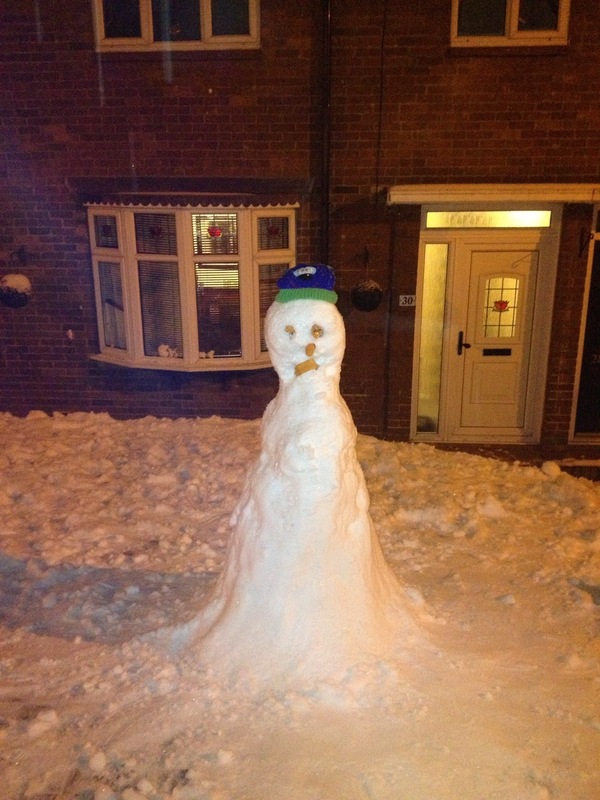 Well done Ben on your amazing creation! Don't forget we have the Sharing Assembly for Maple class this week. They will be sharing their work and progress with us all at 9.05am on Wednesday morning. School is open as usual tomorrow. Breakfast club will be open from 8am as normal. 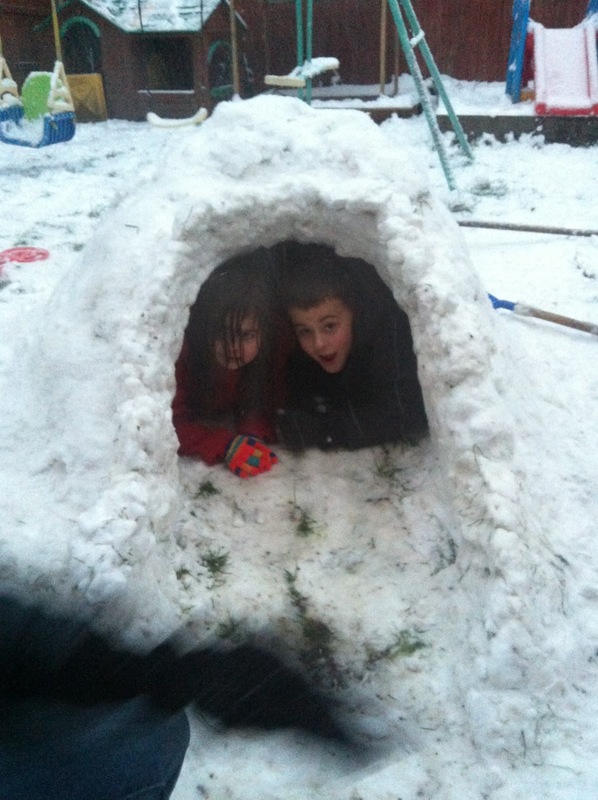 These Broadford pupils are certainly makng the most of the snowy conditions. Without a doubt these are two very fine snowmen. Garnished with the traditional carrot nose Holly, William, Jack and Charlie should be very proud of their creations. 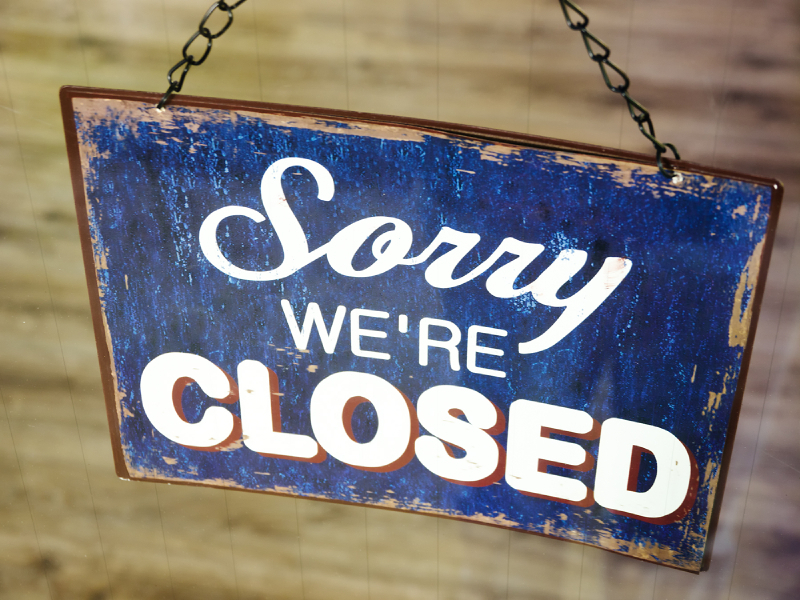 Unfortunately we will be closed on Monday. We will be using the time to make the pathways around the school safe and clearing the entrance and car park. Please keep an eye on the website and Facebook page tomorrow. We will update you with news about Tuesday as soon as possible. Have a great day tomorrow and play safe! We have decided that the school will be closed on Monday. Can you please inform any other parents and families who you know. 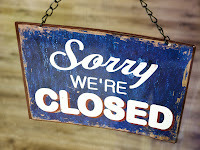 We will be on site tomorrow to clear the pathways and car park so that there is every chance we will be open on Tuesday. Please keep checking the website and Facebook page for updates. For older children – who read longer texts – 100 pages is equivalent to one book. A Harry Potter novel could be worth 7 books if there are 700+ pages. Below are the first children to be rewarded under the new system. E for Excellence Winners:These wonderful children have demonstrated excellence this week. Congratulations to this weeks E for Excellence winners… well done! RWI AwardHarry Hooper is to be congratulated for working very hard in his Read Write Inc group this week. Please keep an eye on the Facebook page and school website for updates regarding the weather. Our intention is to open on Monday, however it is impossible to tell what the weather is going to do over the weekend. If we are going to close I would give you as much notice as possible. 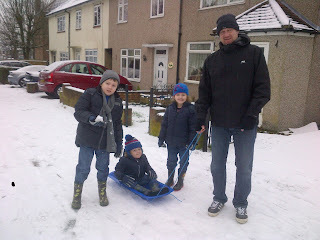 However I would stress that if we are able to open, the children have warm clothing and appropriate footwear. If the children were in school and the snow was sufficient to go outside, we would be building snowmen and having snowball fights… but the children need the right clothing! Lucy Lockhart has been finding out about a very interesting creature... the goblin shark (Mitsukurina owstoni) is a deep-sea shark. It is easy to recognise as it has an unusual shape for its head. Some other features of the shark are the color of its body, which is mostly pink, and its long jaws. 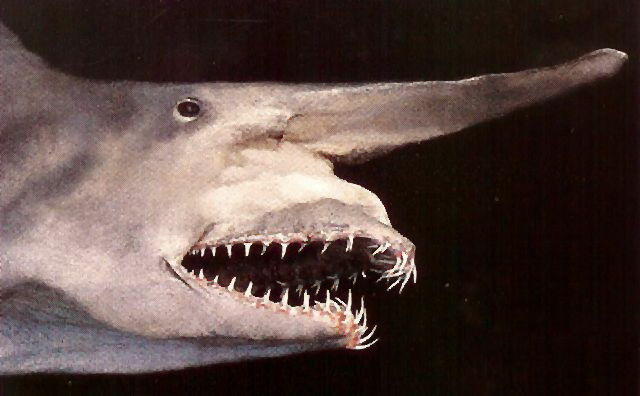 The Goblin shark is found in the deep ocean, far below where the sun's light can reach at depths greater than 200 m. They can be found throughout the world. They are best known from the waters around Japan, where the species was first discovered. Amazingly they can live for up to 30 years! Fact Hunters: Lions, shoes and baboons! Have you found out any amazing facts? Are you hungry to learn something new? These pupils have come up with some nuggets this week. Have a look at the links to find out even more about their chosen subjects. Tumelo Sibanda Did you know that the Queen’s birthday is on the 21st April? Did you know that Spain has a coastline that is 4,964km long? Amazinggly Spain is five times bigger than the UK, but the population (approx. 45million) is around two thirds the size of ours! Drew Burkett Incredibly baboons have bottoms that are very hard and calloused (have tough skin). Their bottoms help them balance when they are sitting, sleeping and eating on uncomfortable surfaces and trees. Natalie Towner On the African plains, you can see male lions which grow up to 2metres in height! Have you ever wondered where the Queen gets her shoes from? They are made by Lobb the Bootmakers – who have been in business for over 150 years. Unfortunately we have had some more of our six legged friends visiting us in the Nursery and Key Stage 1. Can I please ask you to be on the look out for them, so that when they appear we are treating them as quickly as possible. Letters have been sent home to pupils in KS1, Reception and Nursery. However it never hurts to have a reminder about how to spot and treat headlice. Check your child's hair. The most common places for head lice to lurk are in the hair behind the ears and at the nape of the neck. If you still can’t spot any lice, comb the child's hair with a special ‘nit comb’. These are available from most chemists. It’s easier to spot head lice as they fall out if you comb the hair over a piece of white paper. If your child has head lice, check everyone in the family. You'll need to treat everyone affected to get rid of them. You can treat head lice by wet-combing hair with a special comb, or by using medicated lotions or sprays available over the counter at pharmacies. If your child has head lice, you might be able to spot the remains of the tiny white egg in their hair. This is called a ‘nit’. Some people also use the word ‘nit’ to mean ‘head louse’. Ten to fourteen days later, the baby head louse is ready to have babies of its own. Head lice crawl from head to head when you’re close to someone who has them. Children are particularly at risk, because they’re often in close contact with other children at school. However, head lice can’t fly or jump, and it’s very rare to get head lice from a pillow or a towel as they can’t survive away from a human head for very long. 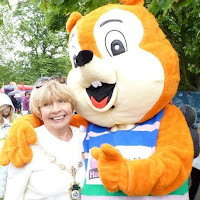 Gill Gordon (our Chair of Governors) will be in attendance. We are looking forward to hearing what they have been learning about. 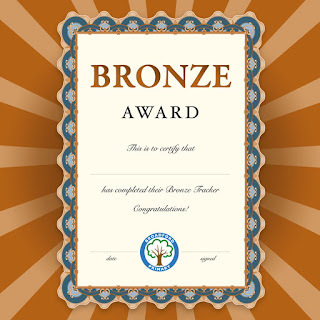 Congratulations to Tumelo Sibanda and Holly Clark who have completed their Bronze trackers this week. The latest league table has been published by Coopers Coburn. Perched at the top are Clockhouse, who beat us just before Christmas. However a number of the second placed teams will go through to the finals... and we have a great chance! Will Fletcher be able to score another hat trick? Can we overcome St Patrick's and Crownfield? Have any of the teams got it in them to beat Clockhouse and knock them off the top spot? Mrs Stanley is currently organising the last two fixtures. We are also looking for matches for the girls football team. After many weeks of training, the girls are ready to unleash their skills! Overall the Autumn term was a great success for attendance. Despite the cold weather, broken boiler and outbreaks of flu we managed to achieve a score of 95.44% which is well above our target. I would like to congratulate Elm class on their stunning attendance score of 97.78% which has led them to the top of the league. 114 points scored from 15 weeks is a very impressive total and it ensured they finished in top spot. As a reward for ensuring they made it every day, the children now get to go to the Brewery next week. Developing a life long love of reading is one of our key goals over the next few years. With the addition of Mrs Sparkes (our resident librarian) we have made good progress this year. The library has been organised, library cards given out, books catalogued, reading groups established, technology embraced (ibooks on the iPad and read through Apple TV) and trips to the library added to the calendar. In addition we have started to sent groups of pupils off to London to see books brought to life in West End shows: Mathilda last term and War Horse in January. By the end of the year we will have had visits from two authors - Anthony Lishake and Jeremy Strong. Our pupils have submitted entries for a dinosaur book illustrated by Mike Spoor who did a drawing workshop for the pupils. Now we have started to record the children reading their favourite books. First up is Sienna, who has done a brilliant reading of 'Brown Bear'. Watch this space for more classic tales, which you can then use as bedtime stories at home! Wellies & Warm Coats Please! In light of the forecasts promising snow and cold conditions, can you please ensure that the children have adequate footwear and clothing. If there is heavy snow and we are able to stay open, then the children will be allowed to go outside if they have appropriate clothing. 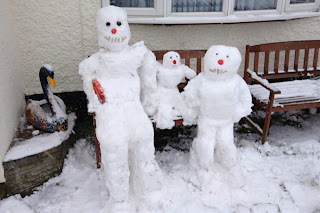 So dust off the snow boots and wellies, dig out the gloves, look for the scarves and come in warmly wrapped up. 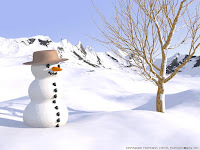 I am sure that none of the children would want to miss out on the chance to enter the snow man building contest or the chance to roll the biggest possible snow boulder! Please ensure that you keep an eye on the Facebook page for updates should the weather close in. To assist children with their homework we have a number of ICT based programs that can be accessed at home. All the children have a personal login for the school’s Fronter website. Once they have logged in they with find resources to help them with their homework. The children can also use ‘My Maths’. The login for this program is broadford and the password is broadford. Each child has been given a personal login so they can access tasks that the class teacher has set for them. Finally, we have a Literacy based program called ‘Purple Mash’ that provides the children with frames to help them structure their writing. Spellings will be given out on Mondays. The children should practice their words every evening. The test will take place on Fridays. This term the children have a trip planned to help support the learning covered in school, details of which will follow shortly. If you have a current CRB and you would like to help could you please let us know, thank you. It is always extremely valuable to have parents who are able to volunteer time to help hear the children read, or support them with their times tables. 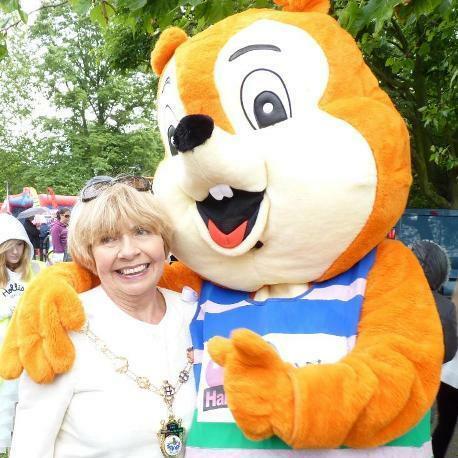 If you think that you are able to give some time to support the children then it would be warmly welcomed. Once again you will need a current CRB in order to work inside the school. Below is a summary of the topics which the children will be covering this term. If you would like any more information about what the subjects actually involve then please do not hesitate to ask your child’s teacher. 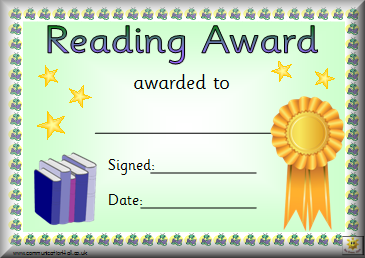 Please fill in the reading journal after hearing your child read. For a good selection of children books visit your local library. The school is really focusing on mental maths and learning the times tables. Children should know the 2, 5 and 10 times tables by the end of year 2. It would be of great help if you could help your children to learn the following. Year1 Practice counting up to 20 in twos (2, 4, 6, etc.) Also practice ordering numbers to 30 and saying which is one more and one less. Year 2 Practice the 2, 5 and 10 times tables. Also practice ordering numbers to 100 and knowing how many tens and units are in a 2-digit number. Also what is one more or less and ten more or less. You could visit the Science Museum. Admission is free. Located at Exhibition Road in South Kensington, London, SW7 2DD. They can safely leave them on their pegs until the next holiday. Please ensure that no ear-rings are worn on PE days unless your child is able to remove them themselves. Staff are not allowed to tape or remove ear-rings. Long hair also needs to be tied back.